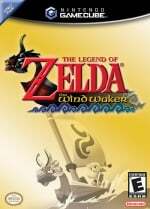 The Legend Of Zelda series of games is loved by Nintendo fans world-wide, and has proved popular with cosplayers around the globe as a way of showing their appreciation for its myriad characters and creatures. 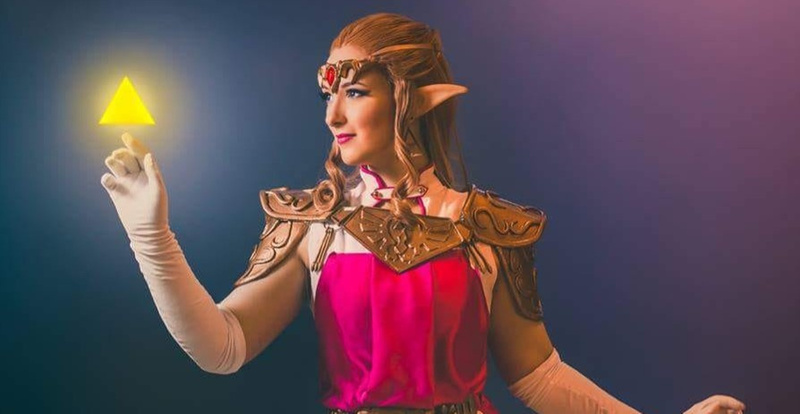 With Breath Of The Wild winning multiple awards in 2017 and frequenting the top of many 'game of the year' lists (including topping Nintendo Life's own staff and reader picks), the popularity of cosplaying Zelda characters has exploded. Although the games always follow the adventures Link, the variety of different characters he's met on the way (and the various forms he's taken) offers plenty of inspiration for those with an eye for homemade fashion. To celebrate this diverse community of talented fans, we've gathered together 10 of our favourite Zelda-themed cosplays from cosplayers around the planet. Fi is Link’s faithful companion during The Legend of Zelda: Skyward Sword. A humanoid spirit residing within the Goddess Sword, she was a dream cosplay for German cosplayer Caelnu. 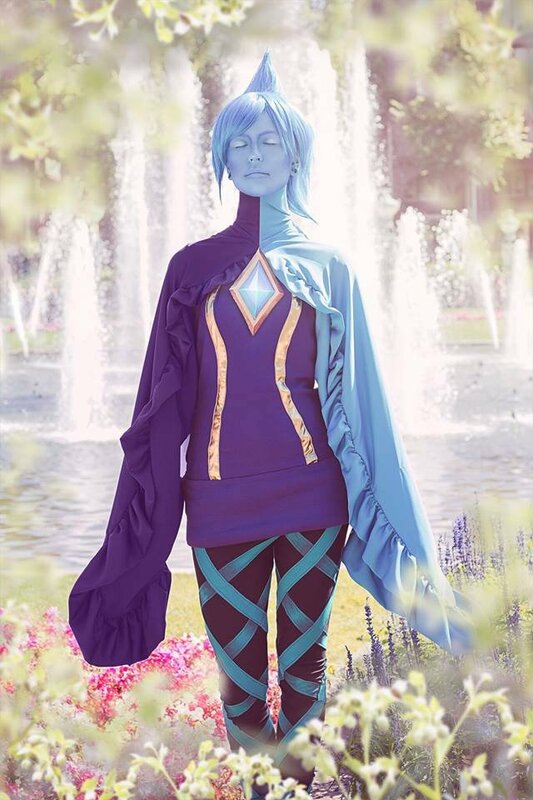 Caelnu has been cosplaying since 2014, and in 2016 she spent roughly 45 hours putting her Fi cosplay together. Now that's dedication to your craft. She enjoyed going around conventions telling people about their low batteries! The attention to detail in the costume, wig and location of the photos provides a perfect vision of Fi. As you can imagine, Calenu is a big Zelda fan, and has since gone on to make cosplays of Ghirahim and the Skyloft version of Zelda. 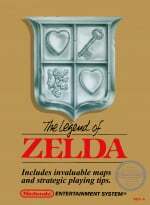 Hilda is a dark counterpart to Princess Zelda, appearing as an original character in The Legend of Zelda: A Link Between Worlds. Yuko Scarlet is a French cosplayer who portrays Hilda perfectly. She has been cosplaying since 2014, and when she played A Link Between Worlds, Yuko fell in love with the character’s look and story. The dark purple make-up, 3D shading and inclusion of the staff to Yuko’s Hilda really adds to the excellent cosplay. What makes Yuko’s Hilda even more impressive is that she was only a beginner in the cosplay world at the time of making Hilda, and that this was her first attempt at an armoured outfit and using worbla (a thermoplastic popular with cosplay builds). The adult version of Zelda’s costume from The Legend Of Zelda: Ocarina Of Time is one of her more complex outfits, but due to the admiration for this game it's also a popular choice for cosplayers around the world. One such cosplayer that does justice to the costume is Superdebz Cosplay from the UK. A very talented seamstress, Debz handmade the entire costume from scratch. She used different types of silks and satins for the dress, and worbla and clay for the armour parts, as well as then going on to hand paint each component. The tabard for Zelda in Ocarina Of Time has a very complicated pattern, but Superdebz nails the details superbly. 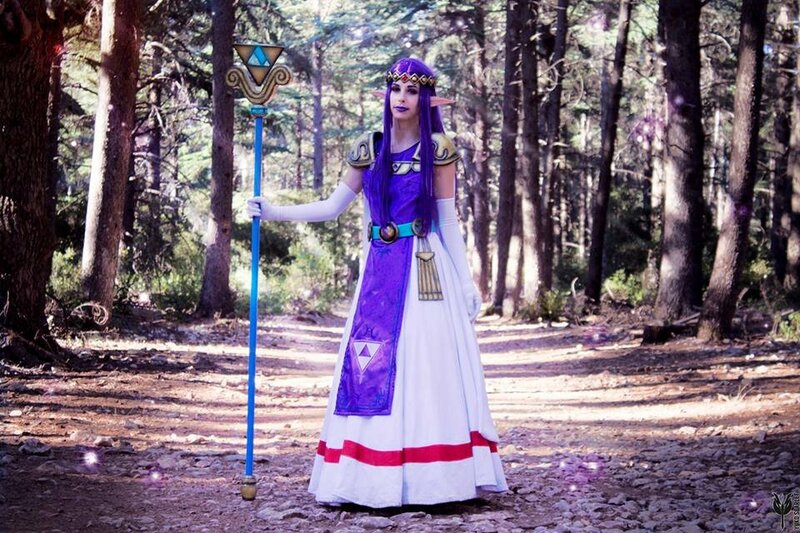 She has since gone on to make many elaborate costumes, including Zelda’s Hyrule Warriors costume, but says she loves the Ocarina version due to how regal it is and how much fun she had making the costume. 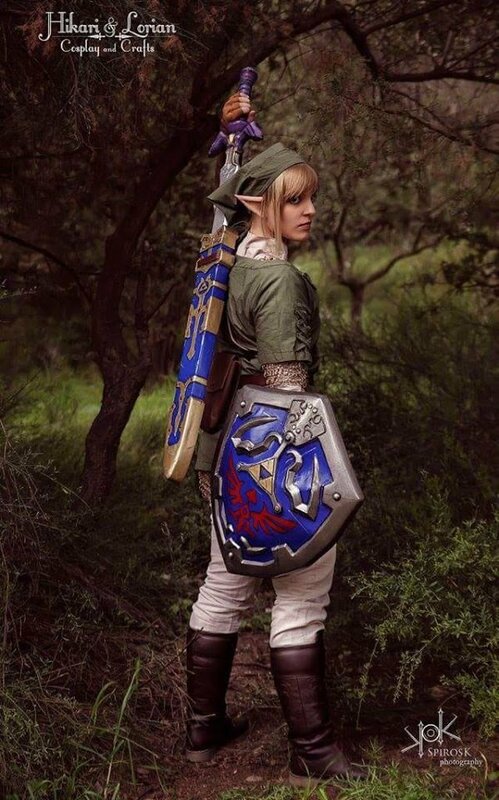 Just like Zelda, there are also many different versions of Link out there in the cosplay community. 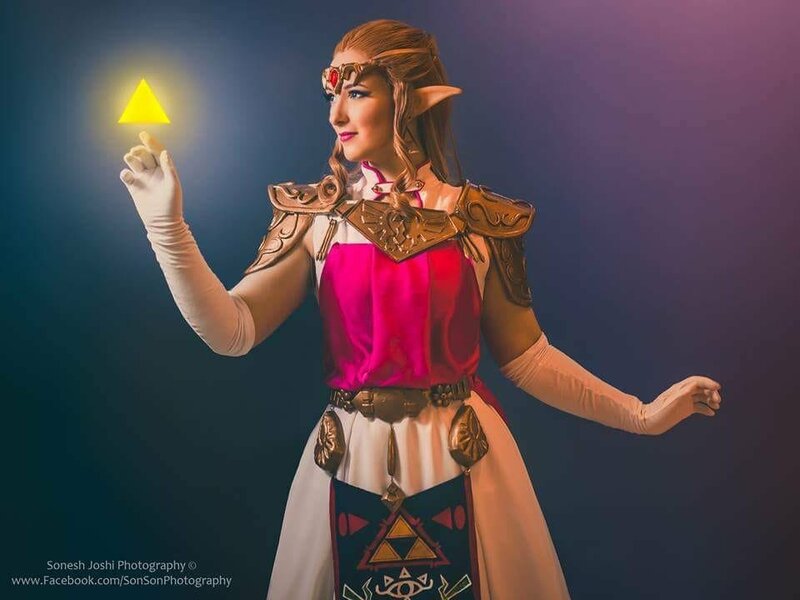 There are many cosplayers that love to assume the role of the Hero Of Time, but a costume designer that stands out from the crowd in a convention full of Links is the super-talented Hikari & Lorian Cosplay And Crafts. As well as making the costume from The Legend Of Zelda: Twilight Princess, Lorian made 15 props to go alongside the outfit so that Link would have a full inventory. Attention to detail is very important to Lorian, so she made the chainmail herself from little rings, as well as making the boots, belts and pouches for authenticity. Lorian spent six months making everything from scratch and her hard work paid when she was chosen to represent Greece in the 2016 EuroCosplay Championship finals (held at MCM London). Hikari and Lorian are best friends from Greece, and together they have made over 50 cosplays that have won myriad awards. 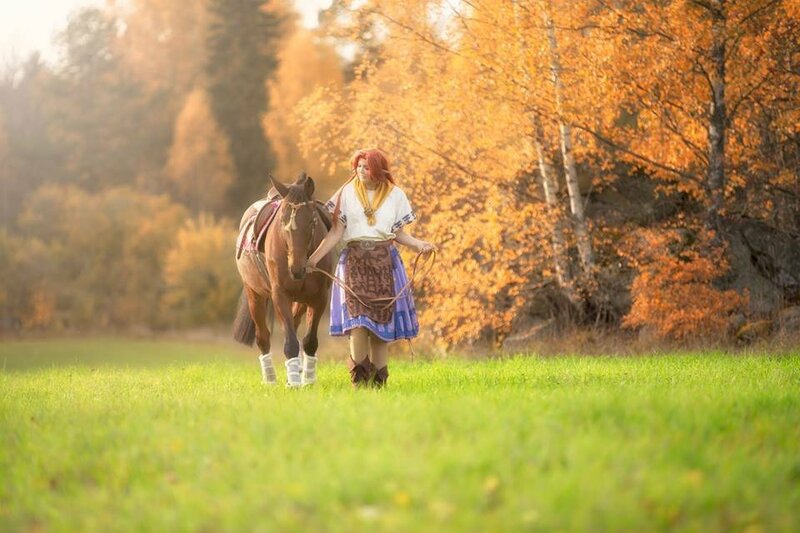 Malon is another well-loved character from The Legend Of Zelda: Ocarina Of Time, but very few people have cosplayed her as well as Swedish cosplayer Simona Dahlborg. The addition of her horse and rolling fields to the photos really makes it look like the images could have been captured right there on Hyrule's Lon Lon Ranch. Her Malon cosplay was hand-sewn, and she has created both the young and adult versions of Malon’s costumes. Simona has been cosplaying since 2013, has made roughly 40 costumes and is a self-confessed Zelda super fan. She's created many cosplays of different characters from the series as well as her Malon outfit, all of which can be found on her various cosplay pages. One of the only The Legend of Zelda: Breath Of The Wild-centric characters to make this list is the fantastic Mipha by Lara Wegenaer Arts. A Champion and Princess of the Zora race, Mipha is a character that was known for her skills with her trusty Lightscale Trident, which Lara has also made herself as a fantastic addition to the cosplay. 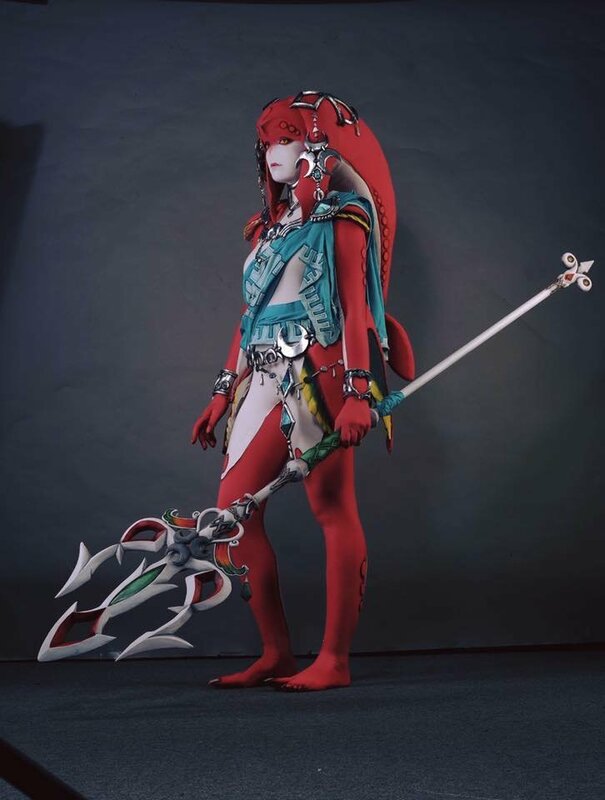 Lara previously made a The Legend Of Zelda: Twilight Princess Zora cosplay, so as soon as she saw Mipha’s design she knew she had to cosplay the character as well. Lara spent six weeks crafting Mipha, and says the headpiece was the hardest part to make due to the shape of its design. She has a progress album on her Facebook page, where you can see the details of how she made each intricate part of the costume, as well as tutorials on her webpage about how to make Mipha’s costume and a Zora head. 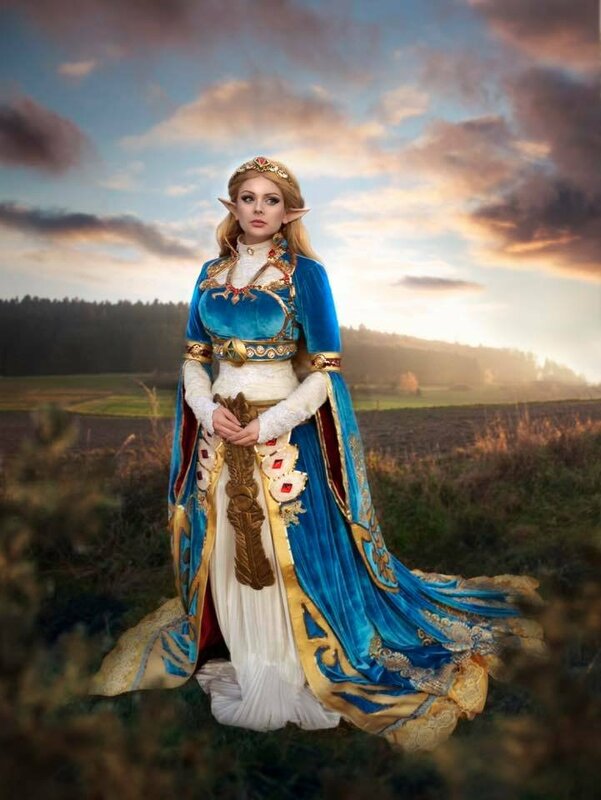 The beautiful gown that Zelda wears in The Legend of Zelda: Breath Of The Wild was created flawlessly by US-based cosplayer Hannah Éva Cosplay. Hannah is a lifelong artist who has won many awards throughout her career, but only got into cosplay a few years ago. She loves to put her own creative touches on her cosplays to help bring the characters to life. The Zelda costume took about her about a month to make, with many sleepless nights, and it features a lot of details as a result. It contains 10 yards of hand-dyed velvet, hand-sewn lace appliqués, custom beading and plenty of other intricate details. An extra addition to the costume that makes it stand out from the rest is the fact Hannah even made the wig herself. The villain that everyone loves to hate, Ganondorf has appeared in multiple Zelda games trying to destroy Hyrule and thwart Link’s heroic adventures along the way. AlphaNerd Cosplay portrays the evil character excellently, and he loves walking around in Ganondorf’s billowing cape and really getting into character. 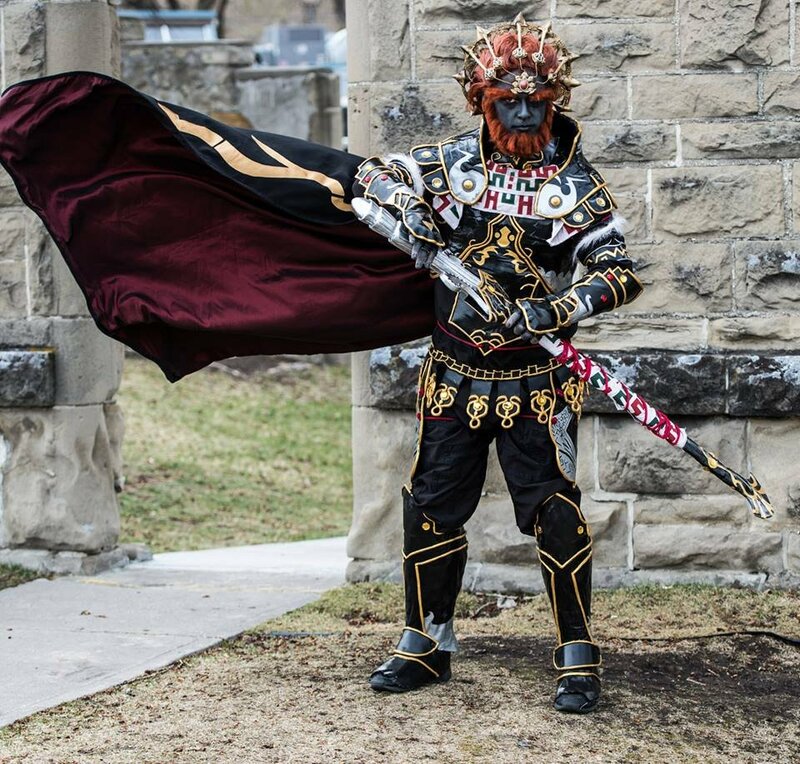 The cosplay takes dedication not only to make but to wear as well, as it takes the Canada-based cosplayer over two hours to do all the makeup, facial hair and don the armour to transform himself into Ganondorf. AlphaNerd goes into great detail on both his Facebook page and website about how he made the epic character, and why his award-winning costume means so much to him. A cosplayer since 2011, he is a regular judge and panellist at conventions. Skull Kid is the pesky character from The Legend Of Zelda: Majora’s Mask that likes to play tricks on the lovable Link. 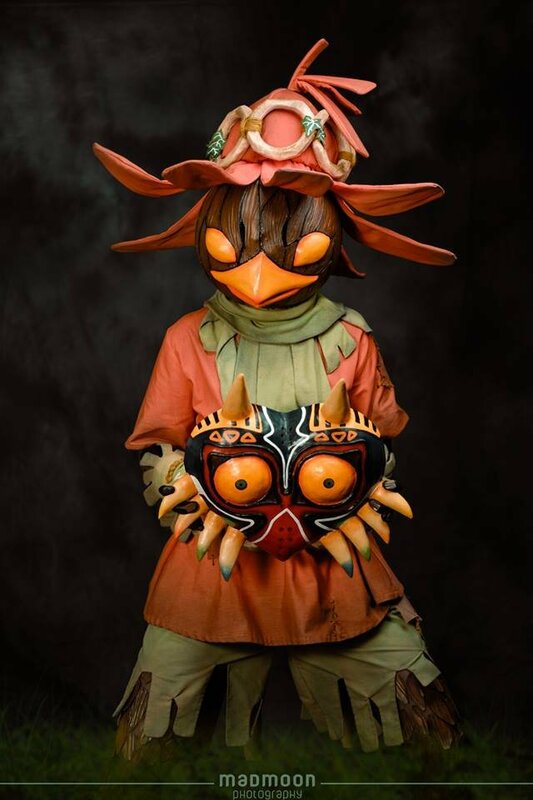 Kaldorei Cosplay shows a different side to the cheeky character by cosplaying Skull Kid both with the bird’s head and Majora’s Mask. Cosplaying since 2012, Kaldorei has even represented the UK on numerous occasions with her amazing costumes. Skull Kid was a dream cosplay for Kaldorei, and she says the most difficult part of the costume to make was the bird’s head. The famous mask is a mixture of foam and worbla. The hat, which is her favourite part of the cosplay, was made completely collapsible so it could fit into Kaldorei’s suitcase. Work in progress photos can be found on Kaldorei’s Facebook page, where she goes into more detail about how she made each part of the costume. 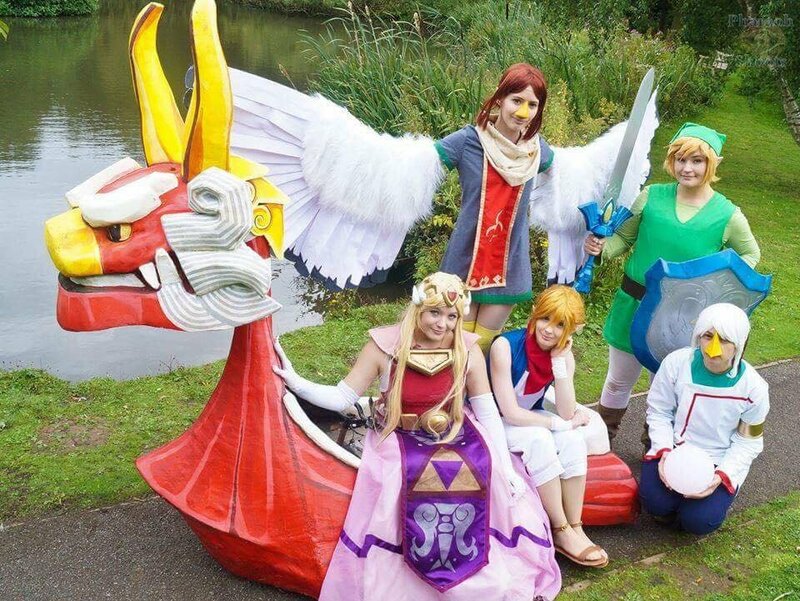 The top spot on the list goes to the awesome The Legend Of Zelda: The Wind Waker group, because not only do they all have awesome cosplays (and a deep love of the game), but they even built the giant boat The King Of Red Lions to go with it! The group consists of UK cosplayers StarKey Studios as Link, Ickle Cosplay as Medli, Emi-Zone as Tetra, Typicaldarcy as Zelda and Komali Keekal as Komali. The boat was made by StarKey Studios. Staggeringly, The King Of The Red Lions only cost £80 to build as it was mainly made from scraps. The electronics were from an old binned mobility scooter, mounted on a steel frame with a plywood base, and the body of King was built up from MDF, EVA foam and PVC pipe salvaged from a tip. The head was carved from leftover polystyrene and insulation foam and laminated in fibreglass before being hollowed out so it was light enough to mount on the neck of the boat. Another fun fact about the boat is that it's too large to get through doors, so transport and storage is always a challenge! Cosplay is a creative way to show our love for games and for us to both be a part of the fantasy and bring it into real life. So I always appreciate good cosplay. These are all great, but I especially love Mipha and the BotW Zelda. Oh and Skull Kid. Here's one more great cosplay by Heidi O'Ferrall. Don't forget the Zelda costume from BOTW a while ago. This site posted an article on her before. I think a certain person missing here sort of and I am surprised they aren't here. Still yeah, really incredible cosplays and I am glad to see that there are so many good cosplayers out there :+). @Kimite If you're talking about that gimp Tingle then I'm glad he's not here. These are impressive. 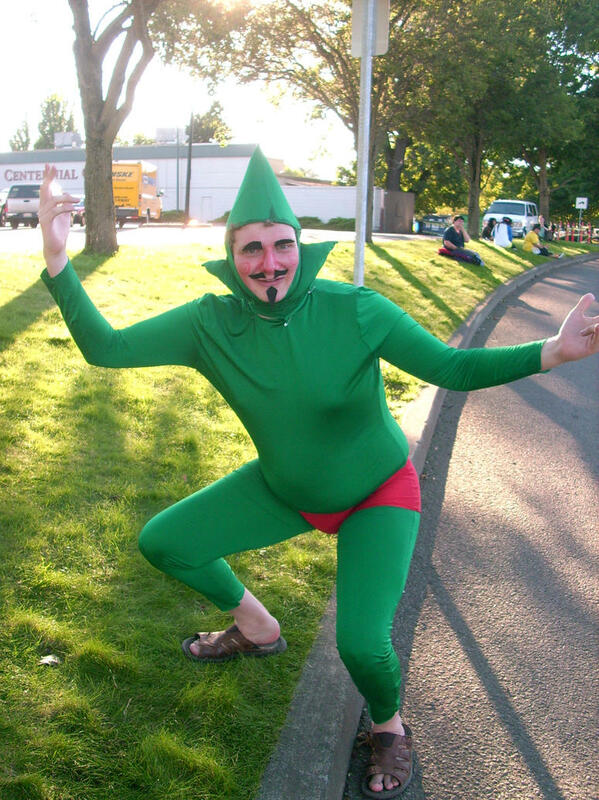 No Tingle? @SLIGEACH_EIRE No, Li Kovacs ;^^. Surprised she isn't here as she worked directly with Nintendo so much. So, where's all good cosplay? @kopaka Don't be that guy. So much time and dedication have obviously gone into creating these costumes,it's quite impressive. Mipha is by far my favourite followed closely by Skull kid..which reminds me,I have yet to try Majoras Mask which I have had sealed and unplayed for about a year. They don't forget to smize. Smize, smile with your eyes. Who would want to cosplay Fi? Good thing she went with the Majora's Mask Skull Kid and not the minstrel show Ocarina version. https://instagram.com/p/BdonXL-jYxk/ This is my Ganondorf. All of these are amazing! Kudos to those who have the time and patience to put together awesome outfits like these. The Mipha one is great! But the Ganondorf one is kind of lacking, I feel like the head jewelry stuff and hair should be smaller. The Ganondorfs usually end up looking like giant heads in a tiny body. That's mostly because Ganondorf is a large man, and good cosplayers tend to be... Smaller than that. It also doesn't help that most males with the correct body type would probably rather go for super hero or other more fanservicey options. Your Ganondorf is much better than the one in the article. Article Ganondorf is a pipsqueak. I've been a fan of Akuriko's Zelda costumes for a while. Don't worry if a certain cosplayer's work didn't make the list this time round. If you guys really enjoyed this one, there's always the scope for more in the future. I am utterly shocked that Li Kovacs didn't even get a cursory mention considering how much effort she puts into her costumes. Why is Link always female. It’s stupid. Hmm, it's only when you see them in real life you realise how unflattering some of the outfits actually are. Despite that, the cosplayers all look fantastic. Yo, Ganon do you even lift, bro? I will say seeing Mipha IRL, makes her attraction to Link very creepy though. @BornInNorway81 Because women grew up playing LOZ just like dudes and many admire the character. If women that grew up in the 80s and 90s were only allowed to cosplay characters that are female, we'd run out of material pretty quickly in comparison to dudes. It's just fantasy all around, these aren't real people anyway. 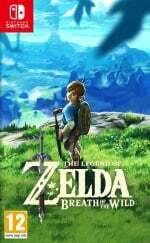 Link is a mostly mute, reincarnated elf boy/man tied to a sentient time traveling dancing sword and a goddess in mortal form....not a lot of realism here. A male is more than welcome to do a honest Princess Zelda cosplay as well. Although to be honest most men (especially western ethnic groups) don't have the delicate, yet still male features to really look like Link. Japanese men have done decent Link cosplay. @Ryu_Niiyama And you thought my Fi x Link shipping was strange.... Though looking at THIS Fi, I'd say maybe Mipha's equally strange. @BornInNorway81 Technically Link is intentionally a fey character with androgynous features specifically to make the character the literal "link" between the player and game world, so he's always been intentionally effete to appeal to everyone's sense of self. Aonuma doubles down on "link is a guy" for narrative purposes, but Miyamoto designed him to be "you". @NEStalgia I still say you have the wrong type of love between them, lol. But I have no idea what Mipha (or her brother) see in Link. Dude wasn't even a good champion back when Mipha was living! @BornInNorway81 might want to read the post above yours.